Why let something go to waste when you can give it a second life? That’s why LafargeHolcim Austria turned a disused part of its quarry into a home for a recycling center operated by our Geocycle waste management teams. 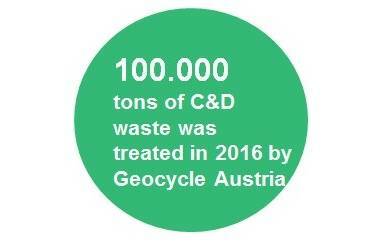 The Geocycle Recycling Center in Retznei, Austria processes Construction and Demolition waste (CDW), which accounts for approximately 25% - 30% of all waste generated in Europe. Built on the quarry that serves LafargeHolcim’s cement plant in Retznei, the operation is made possible by the cooperation between the Group and a local partner that provides the knowledge and expertise in CDW management. The result? Every year, 100,000 tons of CDW are processed there for reuse. The LafargeHolcim cement plant in Retznei is already amongst the top performers worldwide in substituting thermal energy with alternative fuel. With the creation of the Geocycle Recycling Center Retznei (GRCR), our teams are also setting a benchmark in recycling construction and demolition waste. 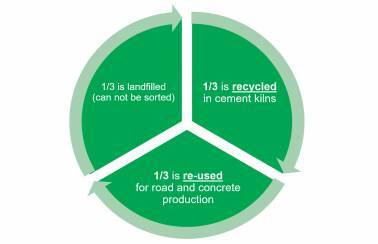 Today, 12% of the raw materials (limestone, silica, alumina…) used in to produce cement in Retznei come from recycled waste. One notable achievement is the GRCR’s ability to co-process clay bricks. This non-frost resistant material is not normally recyclable when temperatures drop below zero in Austria. But our teams have developed a successful approach to reuse clay bricks as an alternative raw material in the cement production process. Finding solutions to recycling CWD is a priority issue not only in Austria, but across Europe. By 2020, the European Union has mandated that countries must be capable of recycling at least 70% of its CDW. The Geocyle Recycling Center Retznei is already capable of meeting that goal. How? 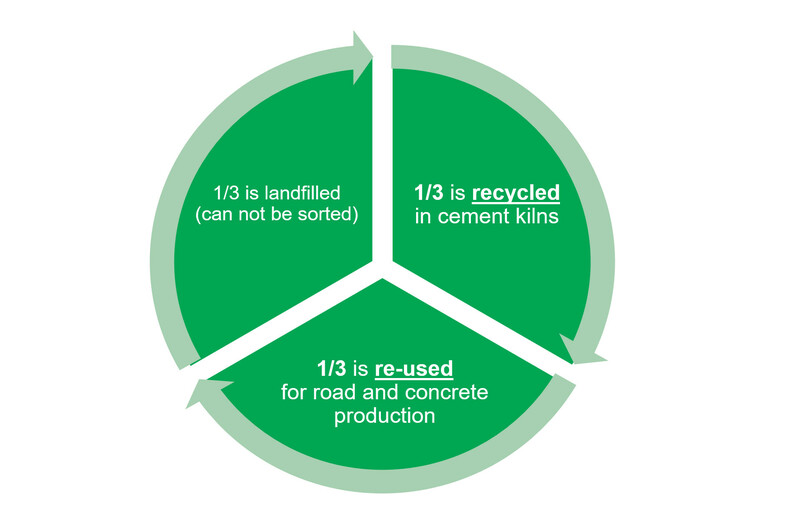 When a construction and demolition waste stream arrives at the center, 35% is co-processed and injected back into the cement production process at the LafargeHolcim plant. Another 35% is treated and sold as alternative materials to private customers and construction companies to use in drainage systems. “By implementing GRCR solutions, Geocycle demonstrates that it can contribute to achieving the ambitious target set by the European Union on CDW recycling” said Christian Lampl, Head of Geocycle Austria. “We will continue our efforts in giving a second life to discarded demolition materials, helping to reach one of our group’s 2030 Sustainability Plan targets: using 80 million tons per year of resources made from waste in our operations”, said Antoine Duclaux, LafargeHolcim Cluster CEO Central Europe East. “It also helps to decrease the amount of CDW going to landfill” added Antoine. Co-processing waste at our Retznei cement plant is a great example of how LafargeHolcim is using sustainability requirements to create value for the environment and society.